Contents: Preface; Introduction; Resistance and change: visual culture, missionization and appropriation, Kathleen J. Martin; Spiritual freedom, pious appropriation, James J. Garrett; Denying religion: Native Americans and French missionaries in early New France, James B. Jeffries; Past and present transformation of Hawaiian religious participation, C. Kalani Beyer; Ghosts of photography: the 1890 Ghost Dance and afterimages of the sacred, Larry M. Taylor; Negotiating the evidence: Christianity and the ruins of Native America, David Toole; 'Jesus was not an Indian': encountering native images in the Catholic Church, Kathleen J. Martin; Ke Kauhale O Limaloa: a Knaaka Maoli approach to teaching through image making, Herman Pi'ikea Clark; The photographic vision of Delvin Slick: beauty and power in sacred places, Karen Willeto and Delvin J. Slick; Californian imagery in context: the Mono basin Kutzadika'a Paiutes, Angela D. Blaver; 'Dancing the Comanches', the Santo NiÃ±o, La Virgen (of Guadelupe) and the Genizaro Indians of New Mexico, Bernardo P. Gallegos; Trickster's art and artifice: concluding thoughts, Kathleen J. Martin and Angela D. Blaver; Bibliography; Index. Dr. Kathleen J. Martin holds an M.A. in Native Religious Traditions and a Ph.D. in Educational Leadership with an emphasis in culture, language and literacy from the University of California, Santa Barbara. She is an assistant professor in the Ethnic Studies Department at California Polytechnic State University at San Luis Obispo and teaches courses in Indigenous Studies that address the realities and stereotypes of Indigenous Peoples in popular culture; philosophy and identity as expressed through narrative, art and media production; and Indigenous perspectives of land, environment and the importance of place; as well as the historical contexts of race, culture and politics. Her research interests are interdisciplinary, and she is author/co-author of articles such as: "Why don't they leave?" Saving faith and other issues of Catholic missionization; Teaching and learning advocacy for educational equity in a teacher education program; and A middle school strives to achieve team leadership through opposition and uncertainty. She is also co-founder of 'Community of Scholars: Gatherings of American Indian and Indigenous Students and Mentors', an organization designed for the mentorship of American Indian and Indigenous students in secondary and post-secondary institutions. Routledge's Vitality of Indigenous Religions series offers an exciting cluster of research monographs, drawing together volumes from leading international scholars across a wide range of disciplinary perspectives. Indigenous religions are vital and empowering for many thousands of indigenous peoples globally, and dialogue with, and consideration of, these diverse religious life-ways promises to challenge and refine the methodologies of a number of academic disciplines, whilst greatly enhancing understandings of the world. This series explores the development of contemporary indigenous religions from traditional, ancestral precursors, but the characteristic contribution of the series is its focus on their living and current manifestations. 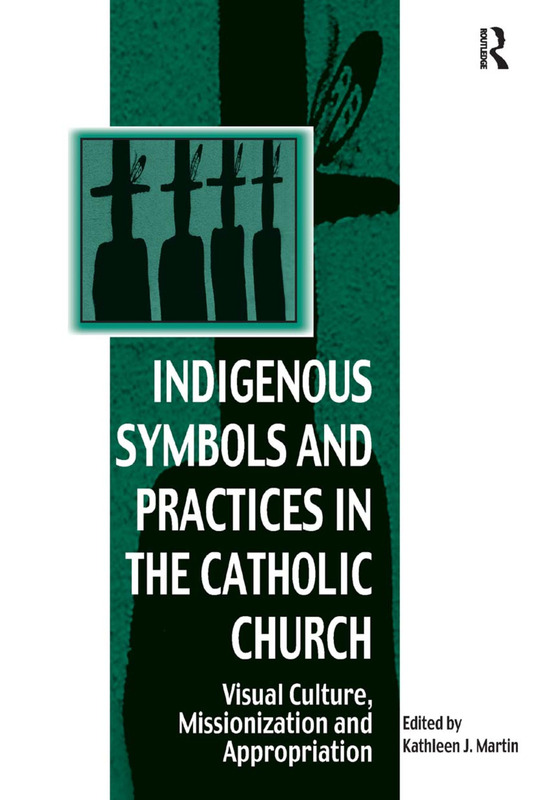 Devoted to the contemporary expression, experience and understanding of particular indigenous peoples and their religions, books address key issues which include: the sacredness of land, exile from lands, diasporic survival and diversification, the indigenization of Christianity and other missionary religions, sacred language, and re-vitalization movements. Proving of particular value to academics, graduates, postgraduates and higher level undergraduate readers worldwide, this series holds obvious attraction to scholars of Native American studies, Maori studies, African studies and offers invaluable contributions to religious studies, sociology, anthropology, geography and other related subject areas.